The four seater arch swings are the perfect choice to have fun in groups! 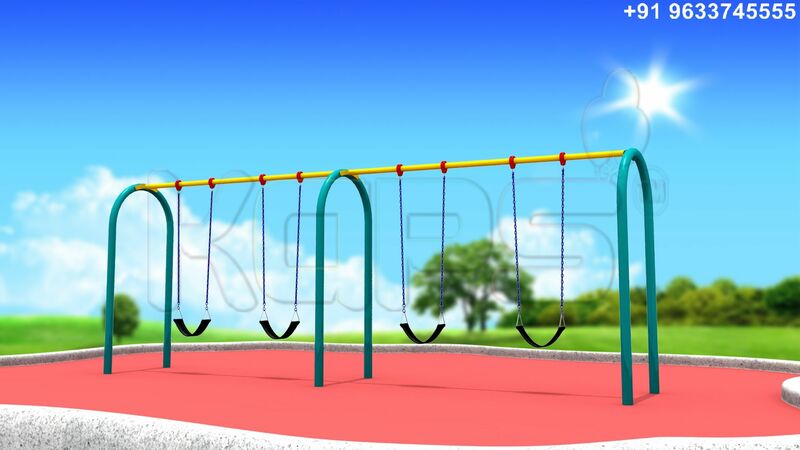 The multiple swings would be an ideal choice for the schools or play areas where lot of kids gather to play at a time. With each to and fro movement, kids get the proper balancing techniques and they learn to coordinate and adjust with the pace. Swings encourage children to seek new heights and break their own records.